of men’s fashion accessories for over 60 years. Thanks to working both innovatively and effectively, using technology in the best way possible from Web development, Cravattificio.com has acquired a number of important customers over the years. By constantly improving the quality of our products and introducing new accessories year after year, we have been able to become an important specialized business in the industry of man/woman promotional accessories. It is not banal to assert that “the team spirit is the key to our success”. 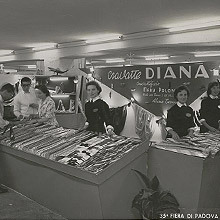 The philosophy of Cravattificio.com derives and depends on a cultural choice based on the will to completely meet our customers’ needs. Over the years, we have learnt that, to obtain what we aim at, we have to cooperate and join the knowledge and professionalism of all our team members because we have a common goal. Cravattificio.com: we create what you imagine. Nevertheless, we have always been loyal to the tradition that stands us apart and we continue to produce tailor-made ties by customizing the private collections that will supply shops, department stores and large chains all over Europe. From the label to the lining, going from the selection of fabric to the definition of the shape, our customers can completely customize their collections, giving themselves a particular and exclusive touch. 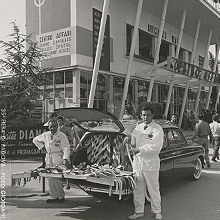 Choosing Cravattificio.com means relying on a company founded on old traditions but with a strong desire to evolve and keep pace with the times.